Japanese financial services major, ORIX Corporation, yesterday exited the Sri Lankan market with the sale of its 30 percent stake in Lanka ORIX Leasing Company PLC (LOLC) to the leasing company’s local promoter and its Deputy Chairman Ishara Nanayakkara, in a whopping Rs.12.8 billion deal. The early trading hours witnessed a block trade of 142.4 million LOLC shares, at Rs.90 per each, significantly down from Tuesday’s closing price of Rs.111.00. The stock was up Rs.6.50, at Rs.117.50, in intra-day trading and closed at Rs.118.00 As at December 31, 2017, the LOLC group’s net asset value per share stood at Rs.141 and at company level, it stood at Rs.97.55. A stock market filing by LOLC yesterday said LOLC Holdings (Pvt.) Ltd bought 142.4 million LOLC shares that amounted to 29.97 percent of the issued shares of the company. 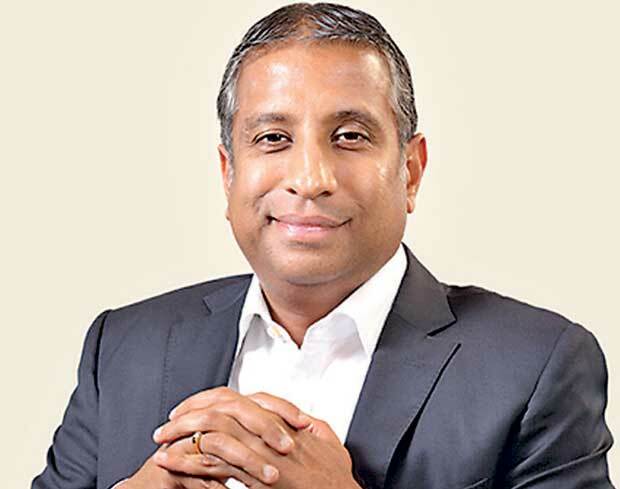 Ishara Nanayakkara is the sole director and shareholder of LOLC Holdings. With the acquisition, Ishara Nanayakkara’s shareholding in LOLC increases to Rs.78.88 percent. Also, the deal will up Nanayakkara family’s entire stake in LOLC to almost 85 percent. The purchase of shares has been carried out through LOLC Securities, an LOLC group company. Since of late, Japan’s ORIX Corporation was seen exiting from markets that it didn’t have controlling interests. Last week, ORIX Corporation sold its minority shareholding in Oman ORIX Leasing Company to its local promoters in a 1.7 billion yen deal. ORIX Corporation entered Sri Lanka almost four decades ago, following its decision to expand its footprint in the Asia and Oceania region. The connection with Sri Lanka was established in 1980 and Lanka ORIX Leasing Company (LOLC) was registered on March 14, 1980. Since then, ORIX Corporation has continued its active engagement in LOLC with a 30 percent shareholding, making it the main investment partner, with two senior executives of ORIX Japan present on the LOLC board. Analysts Mirror Business talked to said ORIX Corporation’s investment in LOLC should have yielded it “fantastic returns” as LOLC has transformed itself into a conglomerate from its humble beginning as a company offering only leasing solutions. Today, LOLC is a group of companies that specialises in offering financial services beyond leasing, such as factoring, savings and deposits, tailored financial products for the SME sector, microfinance, Islamic financing, foreign currency deposits and insurance and stockbroking. In a strategic move towards becoming a diversified conglomerate, the LOLC group has also moved into sectors such as agriculture, leisure, construction and renewable energy. Despite the exit of ORIX Corporation, Lanka ORIX Leasing PLC is likely to retain its name, albeit only the abbreviation, LOLC. For the nine months ended December 31, 2017, LOLC made a group net profit of Rs.7.3 billion on the net interest income of Rs.32.1 billion. The earnings per share stood at Rs.15.28. The group’s total asset base as per the same date was Rs.770.2 billion.